An exquisite little luxury. You only need a little for an intense flavour. 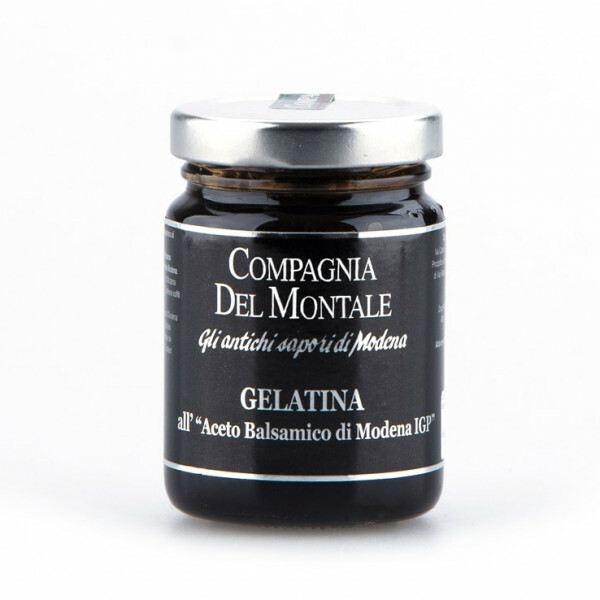 At first, the jelly seems almost sweet tasting, but then slowly dissolves in the mouth to give off the typical aroma of the best aged balsamic vinegar: an indescribable sensation. Made using everyone's favourite balsamic, but a little thicker, with a lot more flavour. 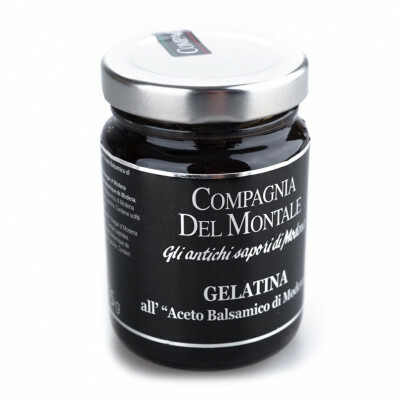 Balsamic vinegar jelly will add a gourmet touch to dishes that will impress your guests with its sophisticated, unique flavour and it is particularly suited to be paired with cheeses - especially its territorial partner Parmigiano Reggiano. It also enhances the flavour of exceedingly fresh, delicate cheeses such as ricotta, but also goes well with ice creams, yogurt, salads or on some warm bread. Just use sparingly and don't be afraid to add a little honey for some extra sweetness when you need it. Balsamic vinegar of Modena 65%, sugar, pectin. CONTAINS SULPHITES.